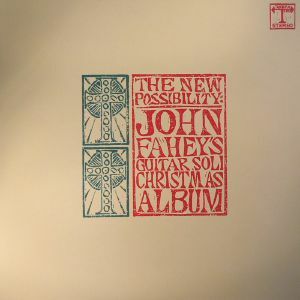 John FAHEY The New Possibility: John Fahey s Guitar Soli Christmas Album vinyl at Juno Records. 1. "Joy To The World"
3. "Medley: Hark, The Herald Angels Sing / O Come All Ye Faithful"
5. "The Bells Of St Mary's"
7. "We Three Kings Of Orient Are"
8. 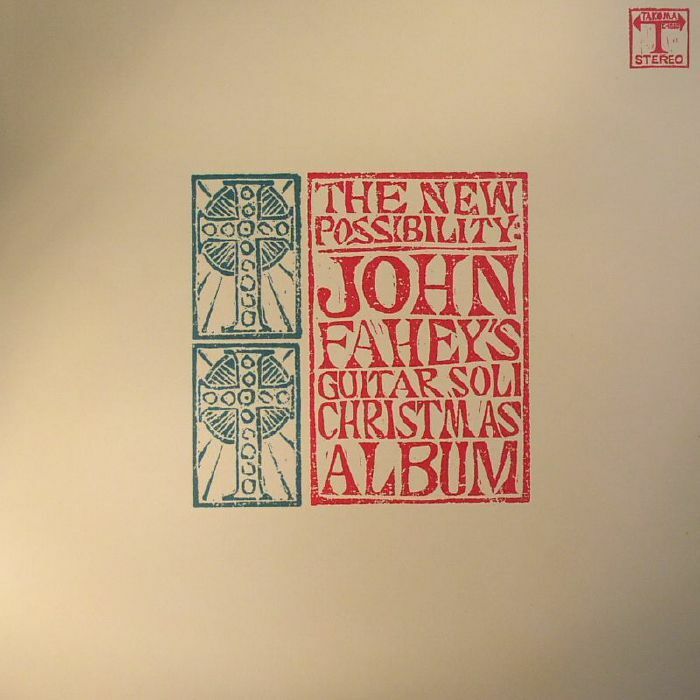 "God Rest Ye Merry Gentlemen Fantasy"
2. 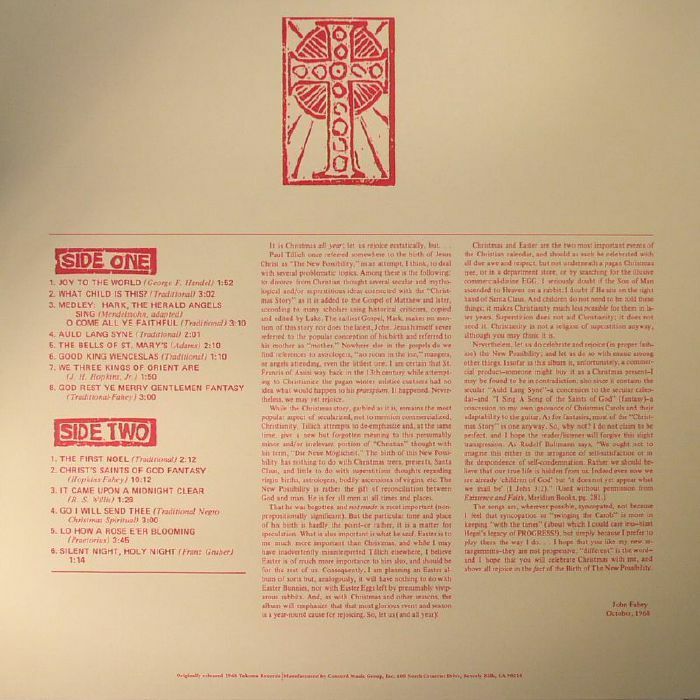 "Christ's Saints Of God Fantasy"
3. "It Came Upon A Midnight Clear"
4. "Go I Will Send Thee"
5. "Lo How A Rose E'er Blooming"
6. "Silent Night, Holy Night"